Whether you’re in your car, on your bike or just going hiking on foot, we present the best GPS navigators for 2015 to make sure you never get lost! The Magellan RoadMate 9250T-LMB features an extra-large 7” high resolution screen, free lifetime map updates, free lifetime traffic alerts and integrated Bluetooth. This Roadmate has a new technology called “Landmark Guidance” which give you directions using landmarks making it a more intuitive way to navigate. The 9250T-LMB also features a new technology called “Junction View” which will give a picture-like view of the upcoming freeway signs and arrows to get you on/off the correct lane/exit. Very handy if you are traveling to a location you have never been before. Traffic camera alerts help avoid speed cameras by providing audible and visual warnings. A first for consumers, Tagg’s pet GPS is a pet tracker that will send you a text message or email if your pets goes outside of a predetermined geo-location. This is not a microchip – but full blown advanced GPS/cellular, which allows the device to be proactive and “know” where your dog or cat is and let you know if you need to find your pet quickly. If that isn’t enough – the Tagg device also has TempSense technology, this monitor’s your pet’s temperature and can alert you if his/her temp gets too high or too low.. It also includes FitBit like tracking for your animal – the Tagg device tracks you pet’s daily activity and exercise so you have a complete report of the distances your pet moves in a day, if a vet is requiring more or less movement for your little buddy. The SmartGPS has a 5 inch high res display and is a powerful mobile information hub that keeps drivers informed, saves drivers time and money, while providing safer navigation. You can save time and money with valuable, local information delivered automatically to your SmartGPS including: lowest gas prices from preferred fuel stations, red light/speed cameras, weather and trafficz. SmartGPS can leverage a companion smartphone app. Browse and select locations from web sources- plus it allows you to send destinations and contacts to the SmartGPS. If you drive to work – the TomTom 1535M will help you cut drive time by using TomTom HD Traffic. It is the most accurate, real-time traffic “sensing” solution for GPS. This TomTom unit will also connect with social travel/driving apps like Yelp, TripAdvisor, Expedia, Twitter, and Local Search powered by TomTom – it can get you restaurant reviews, hotel suggestions and even get near by fuel prices…all from a GPS. Bluetooth hands-free calling, has become a standard feature on GPS unit for a while – but TomTom adds intuitive voice recognition coupled with a Fold & Go Mount – allow it to come very portable too. 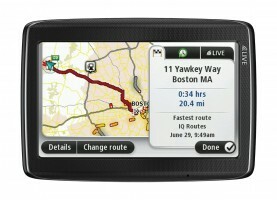 TomTom has premium maps of the United States, Canada, and Mexico and also includes lifetime map updates – a must. 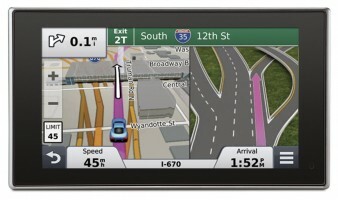 The 5″ touchscreen will leverage TomTom’s IQ routes technology and must-have advanced lane guidance is great when on highway’s with multiple lanes. This handheld is a serious GPS with the Cartesio chipset, a dual-core processor giving you blazing-fast performance. With 500 MB of available onboard flash memory – there is support for high-capacity SD cards up to 32 GB. A 3-axis electronic compass will keep you on the north-south while the barometric altimeter lets you know how high and low you are. The base map data for the US is very detailed and includes topographic maps, color aerial imagery, USGS 7.5-min. topographic quad maps, and NOAA nautical charts. If you exchange data from the DeLorme use the USB 2.0 data transfers for fast transfers. With its bright, easy to use 5.0″ display and spoken directions which give turn-by-turn and spoken street names – it easy to see why the nüvi 52LM is a deal at the sub-$100 range. Lane assist is very good when traveling on large hiways – and this Garmin adds junction view – a feature which shows you a picture of the next turn you are looking for. Helping with unfamiliar areas – the nüvi uses brightly colored arrows and detailed pictures to make things as easy as possible. The nüvi 52LM also displays speed limit and accurate arrival time. The maps for the lower 49 states, which come pre-loaded, also includes free lifetime map updates. 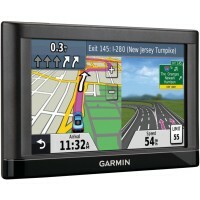 The Garmin Nuvi 3590LMT has a great multi-touch 5″ display with dual-orientation capabilities – meaning you can use it horizontally or vertically…handy for tight installation applications. Also – with safe texting capable the Nuvi will read text messages to you, so you can keep your eyes on the road. Fully loaded with the maps of North America and free lifetime map updates and points of interest. It also includes subscription-free Garmin 3D Digital Traffic updates as often as every 30 seconds. This Nuvi has easy to understand driving directions and Garmin Real Voice which allows for a natural sounding, friendly voice. Also includes bluetooth and smartphone linking. Depicts 3-D buildings and terrain so you know what to expect as you drive through the landscape and comes with a powerful magnetic mount which securely holds your nuvi as you drive. The zūmo 590LM has a big, bright 5.0″ touchscreen which is easy to use with gloves – perfect for your two wheeler. The dual-orientation assues it will fit the exact location you want to put the 590 on your bike. Useing bluetooth – you can use your smartphone without the bother of removing gloves or your helmet. The zūmo will also call points of interest through the bluetooth interface if you have last-minute change of plans or need to find gas quick. The spoken street names will save your hide when coming into unknown towns and will transmit voice prompts to your Bluetooth headset or helmet. The Garmin “Real Directions” talk to you like a human using landmarks and traffic lights, rather than hard-to-read street names. With new tire pressure monitoring with Garmin’s integrated Tire Pressure Monitor Sensor (sold separately). You can add TPMS sensors for each tire and easily monitor the pressure using your zūmo display. It can retro-activly add this greta feature to your older bike. The Smartphone Link4 app (subscription required) will connect you to live weather radar and traffic information. This will keep you in the know when you are out on the open road. New for the 590LM – there is a curvy roads routing feature that “finds” winding rides. This also has the ability to plan your ride based on time, distance or location. You enter requirements and the zūmo will connect the dots. Keeping records is not always fun – but the 590LM will also help with storing tire mileage, tire changes, tire pressure, chain cleanings, oil changes, new spark plugs. The zūmo will keep track of it all. You simply use the included log to record date, mileage and performed maintenance. This is by far the best GPS for motorcycle use. 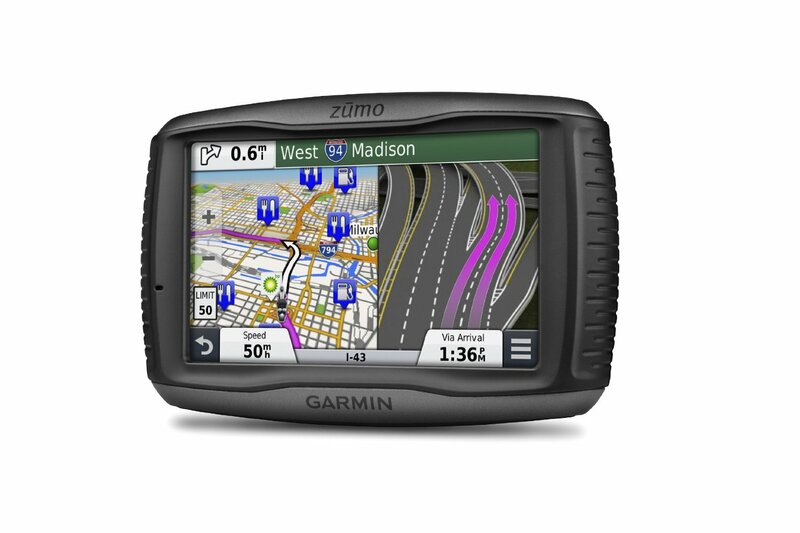 When you think of an “All-In-One” device, a handheld GPS is not usually at the top of the list. But when you look at features – that is exactly what this eXplorist 710. It is very rugged and IPX-7 waterproof. The GPS reception is great with more than 30 navigational data fields. Leverage waypoints, record tracks, and point to point. It has a camera – seriosuly. And if that wasn’t enough, microphone and speaker to record geo-referenced images and voice notes. This will truely allow you to relive outdoor adventures on your computer or share with others. With 2D or 3D viewing angles – it also includes a complete road network in United States, Canada, Western Europe, and Australia. This unique, preloaded map also includes water features, urban and rural land use, and a realistic shaded relief background. 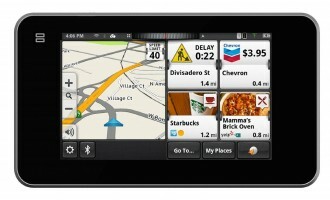 Coming in at $199, the TomTom with HD Traffic and a 5″ display will keep you under budget and in the fast lane. Advanced lane guidance keeps you right where you need to be when you approach exits, turns or difficult intersections. The maps include points of interest from gas stations to hotels. $160 is not a lot of cash for a lot of features in the Earthmate PN-40. 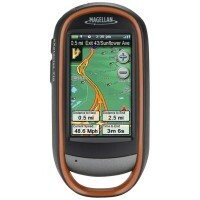 Highly sensitive and bright, color screen; this handheld GPS offers some awesome tools and DeLorme’s topographic maps. The 32-channel STMicroelectronics Cartesio chipset, dual-core processor, electronic compass, accelerometer and barometric altimeter gives accurate altitude readings. With its bright 5.0″ display, spoken turn-by-turn directions and many innovative features, the sleek nüvi 52LM offers dependable, easy to use driving guidance. Comes preloaded with maps of the lower 49 states with free lifetime map updates. Lane assist with junction view indicates the proper lane for a turn or exit with brightly colored arrows and detailed pictures. The nüvi 52LM also displays speed limit and accurate arrival time. Great for the car – the 5″ multi-touch screen responds quicly and easily – while offering features only found on computers and smartphones. The Nuvi 3590LMT will actually read your text messages to you with safe texting features letting you keep your eyes on the road. Awesome Garmin 3D traffic, updating as much as every 30 seconds – the high quality lane assist will keep you on the road headed in the right direction. The 590LM has a 5″ touchscreen display that is easy to read, even in sunlight. 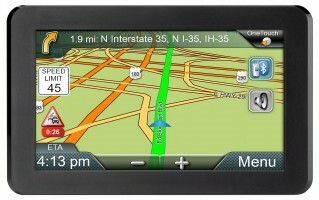 With dual-orientation, you can position the navigator horizontally or vertically. Most importantly it has a glove-friendly interface with bluetooth. It allows phone interaction without having to remove your gloves or helmet. This Zumo has an MP3 player (compatible with iPod, iPhone and Pandora). It is a rugged design – resistant to fuel sprays, UV rays and weather. The 590LM is built specifically for motorcycle use. Using the smartphone link, the 590LM can connect you to live weather radar and traffic information. Motorcycle specific features: built-in trip computer with compass display, digital fuel gauge so you can estimate how many miles you can ride before a fuel stop, speed limit indicator, bird’s eye junction and active lane guidance. The eXplorist 710 combines high sensitivity GPS reception with easy to read mapping and accurate navigation. Rugged and waterproof. Has an integrated 3.2 mega-pixel camera, microphone, and speaker. With a 3 inch touchscreen with button controls, the eXplorist combines the user friendliness of a touch screen with the reliability of two customizable hard buttons. The World Edition map allows for 2D or 3D viewing angles. It includes a complete road network in United States, Canada, Western Europe, and Australia and major roads throughout the rest of the world. This unique, preloaded map also includes water features, urban and rural land use, and a realistic shaded relief background. Comes with Magellan’s award winning OneTouch favorites menu which provides instant access to bookmarks of favorite places. Battery life is 16 hours. 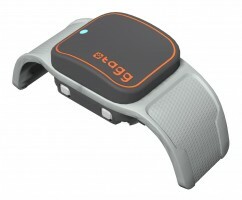 Using cellular GPS – the Tagg Pet GPS can track your pet or alert you when it has left a predefined geo-fence. Built in temp sensors allow you to also monitor a pets temperature. If things go wrong – a text message or email alert can be fired off. Like a heath band for animals – the accelerometer tracks movement for keeping a health record of your pets activity. Made with pets in mind – the Tagg was designed to fit existing collars and will convert a regular collar into a GPS enabled pet tracker.